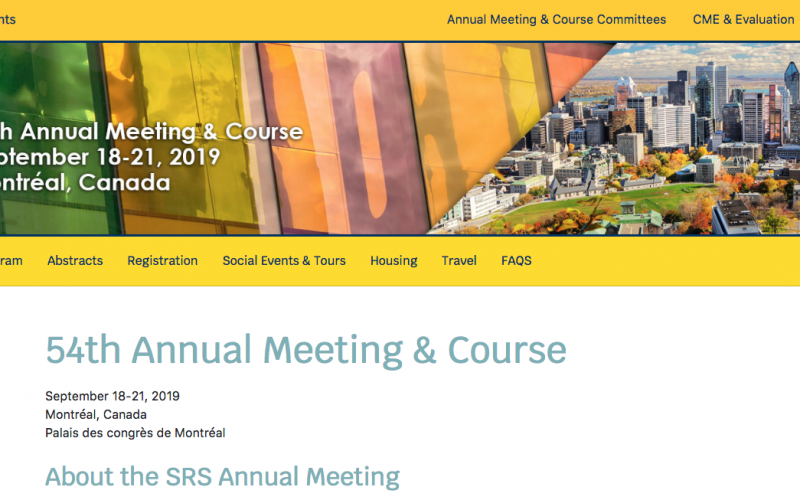 The Scoliosis Research Society Annual Meeting is a forum for the realisation of the Society’s mission and goals, to foster the optimal care of all patients with spinal deformities. Presentations at the Annual Meeting & Course are given by leading experts in the field and have value for health care professionals who treat spinal deformities at all levels and in all ages. Over 125 papers will be presented on an array of topics, including adolescent idiopathic scoliosis, growing spine, kyphosis, adult deformity, trauma, neuromuscular scoliosis and tumours. All scientific and educational programing during the 54th Annual Meeting will be held at the Palais des congrès de Montréal.